On this day in 1963, and 6 years after his brothers Barber shop assassination we saw the death of the younger brother of crime boss Albert Anastasia, Anthony Anastasio. Tough Tony was a mobster who controlled New York City’s docks for several decades. On this day in 1967 in New Orleans, Clay Shaw is arrested by Jim Garrison in the assassination of JFK. Two years later on the same day in 1969 Clay Shaw is acquitted of the charges. He was the only person ever brought to trial in the death of JFK. On this day in 1993 The Little Man, Carlos Marcello, passed away. Carlos has been ill for many years and the last years of his life were spent in his white marble, two-story mansion overlooking a golf course in Metairie, Louisiana. Marcello was the New Orleans boss from the 1940’s through to the 1970’s and was involved in many conspiracy circles, from violating federal racketeering laws to his involvement in the JFK assassination in 1963. On this day in 1992 would be a day that the book was thrown at John Gotti. After calling an eyewitness of the Sparks hit who identified Gotti associate John Carneglia as one of the men who shot Bilotti, they then brought Sammy Gravano in to testify. Less than a month later Gotti was given life imprisonment without parole. On this day in 1944 two Murder Inc hitmen and their mob boss took a long walk to the Sing Sing electric chair for their part in the Joseph Rosen murder, but more importantly the testimony from mob turncoat Abe Reles. Louis Capone took to the chair first, followed by Mendy Weiss, and finally Lepke Buchalter the Murder Inc boss. On this day in 1968, New Orleans Family member Salvatore Alongi dies. Salvatore was uncle to Domonick Alongi, Genovese Capo and La Stella attendee. On this day in 2006 Richard Kuklinski, also knows as The Iceman died at the age of 70 inside prison where he was serving 5 murder counts. Kuklinski was a contract killer for the DeCavalcante crime family, and had associations to the Gambino family through Roy DeMeo. At his peak he weighed in at 300 pound, and stood at 6’5″ tall. 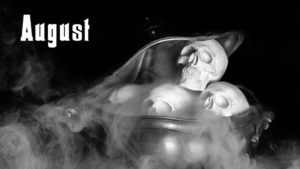 He is said to have killed between 100 and 250 people in 8 years but his claims are varied. On this day in 2009 the last known boss of the San Jose crime family passed away of natural causes at the age of 91. Emmanuel Joseph “Manny” Figlia was born in Brooklyn but moved to San Jose the year after World War II ended. From 1983 until retirement in 1995 he controlled the family which is now said to be defunct after Manny’s death. On this day in 1968 the Prohibition-era leader of the Purple Gang, Abe Bernstein, passed away. He ran the Purple Gang with his brothers Raymond, Isadore (Izzy), and Joseph. Bernstein’s Purple Gang were also the main supplier of whiskey for the Chicago Outfit which was fronted by Al Capone in the late 1920’s, so it is believed that Abe was the man behind the set-up which involved him trying to sell a recently hijacked liquor shipment to be delivered to the garage where the St Valentines Day massacre occurred. On this day in 1929, just a few weeks after the St Valentines Day Massacre the world would greet Nicodemo Domenico Scarfo, who later went on to become one of Philadelphia’s most brutal and violent crime bosses. Just like Al Capone, he enjoyed the celebrity mob lifestyle, and some may say he was too arrogant and flashy – which led to his downfall, and nearly the Philly mob. He passed away in January 2017 at the age of 87. On this day in 2001 we saw the passing of Jimmy Blue Eyes, who died at the grand age of 96. Vincent Alo as he was better known, was a key part of the Genovese Crime Family and aided mob associate Meyer Lansky in setting up casino operations in both Florida and Cuba. 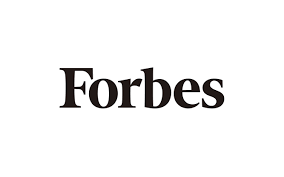 He started work on Wall Street at age 14, and by the time he was 22 he was a made man. He died of natural causes. On this day in 1948 Placido Rizzotto, who was an Italian socialist peasant and trade union leader was assassinated by Sicilian Mafia boss Luciano Leggio. Pieces of Rizzotto’s mutilated body were discovered two years later at the bottom of a cliff with his limbs chained up, and a bullet hole in his head. On this day in 1989 Mr Clean, aka Joseph Ferriola who picked up as the head of the Chicago Outfit after Joey Aiuppa and John Cerone were sent to prison, died after having a second heart transplant at the age of 61. He lead the family from 1985 until 1988 and was quoted as a “cold-blooded terrorist”. He was also the first mobster to undergo a heart transplant. On this day in 1909 Lt Joe Petrosino was ambushed in Palermo, Sicily and assassinated by the Mafia. He was a pioneer in the fight against organized crime in New York City, and over 200,000 people took part in his funeral procession. In 1987, the name of a small triangular park in lower Manhattan was changed from Kenmare Square to Lieutenant Joseph Petrosino Square in his honor. On this day in 1992 Italian Politician Salvatore Lima was gunned down by the Sicilian Mafia, most notably by a gunman on a motorbike who shot out his chauffeur driven car tyres, and then proceeded to approach the car that had ground to halt. Lima tried to flee the scene but the hitman ran over and fired a shot into his back followed by one to the neck before hopping back onto his bike and speeding away. On this day in 1978, New Orleans Family member Salvatore Domino dies. On this day in 1891 arguments are completed in the Hennessey trial and the case goes to the jury in the early evening. On this day in 2007, Italian mob boss Francesco Ciccio Madonia, who sat on the Sicilian Mafia Commission for 29 years died in a prison hospital in Naples where he was serving out seven life sentences. He took part in many of the bloody battles of the 1980’s and was 82 at the time of his death. On this day in 1891 the jury in the Hennessey case comes back with a not guilty verdict at 3pm. On this day in 1919, a letter is sent to the papers by someone claiming to be the Axeman. It warns the people of New Orleans that “next Tuesday night at 12:15 am” any household not playing Jazz may become his victims. In actuality it was the beginning of Wednesday March 19 which was also St. Josephs Day which is highly celebrated by Italians and especially so in the Crescent City. This, along with several other factors, leads some to speculate if this is Blackhand activity disguised as something else. The letter is dated Hell March 13 1919. New Orleans would be filled with Jazz music on the night of March 18/19 1919. On this day‬ in 1891 we saw one of the oldest mob bosses killed. 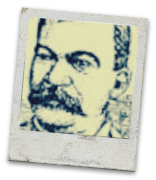 Joseph Macheca is said to be among the first to establish a Mafia Organization in the new world, and headed up the New Orleans family. His death was brutal as he has been on trial for the murder of a police Chief, but was acquitted with 8 other mobsters. Whilst still in police custody a group of mobsters stormed the prison and captured 11 suspects in the police Chiefs assassination, they were all murdered later on. This was the largest kind of mob lynching in US history and went on to be known as the Crescent City Lynchings. On this day in 1914, a few months before World War I broke out, Mr.Neil was born in New York. Aniello Dellacroce was an underboss for the Gambino and mentor to future boss John Gotti. He took over as underboss to Carlo Gambino when Joseph Biono stepped aside, but never made it to the top due to a decision by Carlo Gambino where he chose his cousin, Paul Castellano. One NYPD Detective stated that Dellacroce was one of the scariest individuals he had ever met, whilst another said that he had the eyes of a killer. On this day in 1981 The Chicken Man, Phillip Testa was killed in a nail bombing that was ordered by his underboss Pete Casella. This hit came a year after the Angelo Bruno murder, the Tony Caponigro murder, and kicked off a 4 year long Philadelphia mob war which saw over 30 bodies lying dead on the streets. The bombing on Testa was so powerful that pieces of his body were scattered blocks away. On this day in 1962, the son of Chuckie Merlino was born. 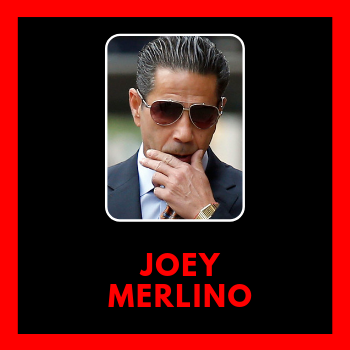 Joey Merlino would rise to power in the 1990’s shortly after Nicky Scarfo lost control of the Philadelphia mob. During the 90’s Merlino fought an internal war for control of the family. On this day in 1896 Joe The Boss was born. Although, not the Joe The Boss you think we are referring to. This Joe The Boss was Joseph Rugnetta who was a Consigliere with the Philadelphia Crime Family from 1936 right through to his death in 1977, after over 40 years of being the Philly mobs Consigliere the position was then filled by Antonio Caponigro. On this day in 1987 the Florida based mob boss Santo Trafficante Jr passed away at the age of 72. Trafficante was one of the last of the old-time Mafia bosses in the United States. He allegedly controlled operations in Florida and also in Cuba, as well as maintaining links to the Bonanno family, in New York City. As well as being the most powerful figure in Florida and one of the most powerful mobsters in prerevolution Cuba for the best part of the 20th century, Trafficante also came into contact with various U.S. intelligence operatives, and was said to be involved in several unsuccessful plans to assassinate Cuban President, Fidel Castro, as well as being identified as possible suspect along with Sam Giancana in the assassination of John F. Kennedy in 1963. On thNicholas Karnofskyis day in 1909, New Orleans own Jewish Mobster Nicholas Karnofsky is born. The family later shortened the name to Karno. Nick Karno ran several clubs on Bourbon Street, sometimes in partnership with Family member Frank Caracci. Some of the iconic New Orleans places they had included the 500 Club, The Famous Door, The Olde French Opera House, Ivanho’s, La Strada Lounge and The Court of Two Sister’s Restaurant. Karno had legal troubles in the latter part of his life stemming from the murder of a New Jersey Associate, Anthony Zappia. Karno also had connections with another well known New Orleans figure, Louis Armstrong. A young Louis used to work for the Karnofsky’s who had a pawnshop in the French Quarter. The family would often invite the young Louis to eat with them after a long day of work. Armstrong later claimed this is where his love of Jewish cuisine stemmed from. On this day in 1940 the former acting boss of the Gambino Crime Family, Nicholas Corozzo was born. Little Nick was a rival of John Gotti during the 1980’s but because Corozzo was a good earner for the family, Gotti didn’t get rid of him by the time he became boss in the mid-80’s. By the mid-1990’s with Gotti behind bars, Corozzo stood in as acting boss but was then jailed in 1997, and then spent the next 11-12 years in and out of jail. His expected release date is March 2, 2020. By which time he will be 78 years old. On this day in 1952 the third boss of the Milwaukee Crime Family, Joseph Vallone died from natural causes. Joe lead the family for 22 years from 1927 until his retirement in 1949. During his reign as boss he saw The National Crime Syndicate formed in which it was announced that the Milwaukee family would remain under Chiacgo Outfit power, answering only to them. On this day in 1999 the New York mobster Gerlando Sciascia, who was a capo in the Bonanno Crime Family was killed in an SUV with a single shot to the head from a silenced gun. 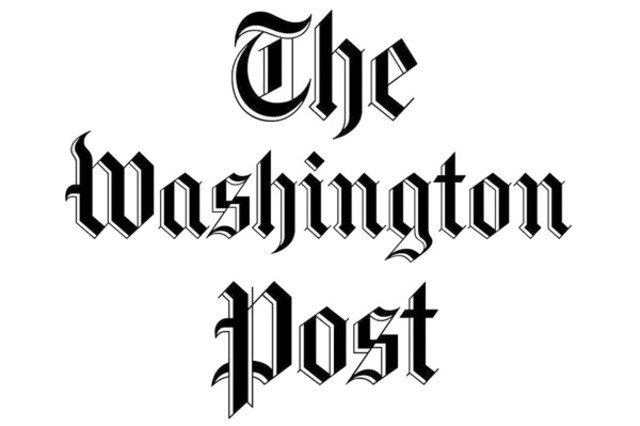 The killer was Patrick DeFilippo acting on orders from Joe Massino. In a private note Massino claimed it served him right for telling him how to run the family. On this day in 1876 one of the early Los Angeles crime bosses,Vito Di Giorgio was born in Palermo, Sicily. In his 42 years he survived two assassination attempts, and was feared by members of other crime families. His downfall came on a trip to Chicago in 1922, and similar to the Albert Anastasia hit some 35 years later, Di Giorgio was settling back in a barber’s chair when gunmen crept in behind him and shot them at close range. On this day in 1919, the year before Prohibition was introduced in the U.S. Gennaro Angiulo was born. Jerry as he was better known as was a New England Crime Family boss, who rose through the ranks under Raymond Patriarca during the 60’s through to the 80’s. Jerry died at the grand age of 90, in 2009 from Kidney disease. Gretna Louisiana Police Chief Beauregard Miller is born. Miller would testify about his co-operation with gambling in 1951 to the Kefauver Committee stating: “Without gambling, the town would be dead. It has a population of 14,000 and its main business is gambling.” Miller also owned his own small illegal casino called The New Garden Club in Gretna. He held his position for most of fifty years and until his death in 1979. On this day in 1977, New Orleans Family member Salvatore “Sam” Termine dies. Reportedly Termine was a very friendly basis with the mother of Lee Harvey Oswald. On this day in 1978 Paddy Macchiarole, better known as Paddy Mac, who was a Genovese Crime Family mobster was shot in the head multiple times. His body was discovered the day after in the trunk of a brand new Cadillac that he had only just purchased. His death was at a time when other mobsters were being taken care of, to prevent any case being brought to court that could see Genovese capo James Napoli sentenced. On this day in 1940 New York mobster and Paul Castellano’s right-hand man, Thomas Bilotti was born. Bilotti served as underboss for just two weeks in the Gambino Crime Family which was the period after Aniello Dellacroce’s death to his own death. Bilotti was spectacularly gunned down in gangland style ambush, just before 6pm on the night of December 16, 1985. On this day in 1966 the world would mark the passing of Virginia Hill who not only became Ben Siegel’s lover, but also had love interests in Joe Adonis. Hill appeared in the 1951 Kefauver hearings on organized crime which labeled here as the Queen of the Gangster Molls, and died under suspicious circumstances in Austra at the age of 49. She died from an overdose of sleeping pills, but many conspiracy theories have pinned her death on the mob. On this day in 1959, Carlos Marcello goes before the McClellan Committee. As in 1951 with the Kefauver Committee he pleads the 5th. Sixty eight times. On this day in 2001 Chicago Outfit mobster Dominick Basso, who made a name for himself as a high-profile bookmaker in the 1980’s died at the age of 63. Basso was most famous for the Pete Rose gambling scandal in which the retired baseball star placed high wagers on major-league baseball games through Basso’s bookmaking wire room. On this day in 1938, Carlos Marcello is busted for selling weed in his bar the Brown Bomber. He draws his second prison sentence on this of a year and ordered to pay almost $77,000.00 in fines. He serves about 10 months and pays only $400.00 in fines. On this day in 1965 Franky Boy was born. Aka Frank Cali is said to be the Gambino’s current underboss to Domenico Cefalu. Cali had several high-profile Sicilian Mafia ties, and would often meet with Sicilian mobsters who make the journey across the US in drug trafficking operations. In 2013 it was reported that Cali shunned the chance to become Gambino boss. On this day in 1953 Crazy Phil Leonetti was born. He of course is the nephew and former underboss to Nicodemo Scarfo in the Philly mob. After turning government informant, Leonetti made some TV appearances, as well as co-writing books on the mob. At the time he was the highest-ranking mobster in the American Mafia to turn informant. He was responsible for 10 murders, which carried a prison time of 55 years. On this day back in 1888 Vincent Mangano was born in Palermo, Sicily. He was given the name as ‘The Executioner’ by the media and ran his own family for 20 years between 1931 to his death in 1951. His brother Philip was his underboss during this period. Eventually his family became what we now know the Gambino family, but not before a stint as the Anastasia family (1951 – 1957). His downfall was at the hands of The Lord High Executioner, Albert Anastasia. Vincent’s body has never been found. On this day in 1928, Manhattan would welcome the birth of The Oddfather. Vincent Gigante who ended up dying in prison at the age of 77. On this day in 1951, Carlos Marcello is convicted of contempt of Congress stemming from his refusal to answer questions in the Kefauver hearings in New Orleans on January 25 1951. He was sentenced to six months in prison. It’s overturned on appeal. On this day in 1888, New Orleans Family member Leoluca Trombutore is born. It has been speculated that he served as NOLA Boss at some point but there is nothing to confirm this. On this day in 2011 the Lucchese Crime Family associate Tony the Greek, better known as Donald Frankos died at the age of 73 in Dannemora. Frankos claimed to have taken part in the murder of Jimmy Hoffa, along with John Sulliva and Jimmy Coonan. Hoffa was said to have been shot in the head, and then was dismembered and left in a meat locker before being transported to an oil drum and buried under the Giants Stadium. On this day in 2015 the reputed underboss of the Detroit Partnership and the son of former mob boss Joe Zerilli passed away at the age of 87. Zerilli stated that Jimmy Hoffa was buried in a shallow grave in a field in Oakland County, 20 miles north of the now-closed Bloomfield Township restaurant Machus Red Fox, believed to be Hoffa’s last known whereabouts. The Crowned Prince of the Philadelphia Mob was born on this day in 1965. Testa served as a hitman for the Philadelphia crime family during a period of internal gang conflict, and lead a group of young Turks under the watchful eye of mob boss Nicky Scarfo. 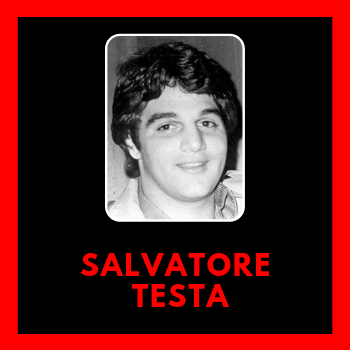 Testa knew the streets like the back of his hand and was also the son of slain mob boss Philip Testa who he vowed to avenge (and did). After multiple times to kill Testa, he was eventually killed by close friend Joey Pungitore in the back room of a candy store. The hit on Testa was given by Nicky Scarfo and would ultimately mark the beginning of the end of Scarfo’s reign. On this day in 1939 Mafia hitman Joe Sullivan was born in Queens, New York. He is currently serving three life sentences and still hold the title of the only known person to escape from Attica, in 1971. Sullivan was said to have been the mobster who transported Jimmy Hoffa’s body putting it in an oil drum, and in 1978 carried out a failed hit attempt on Carmine Galante. A year later, Galante was taken care of by another team of hitmen.